Daily Mirror - UNP willing to continue with Unity Govt. UNP willing to continue with Unity Govt. 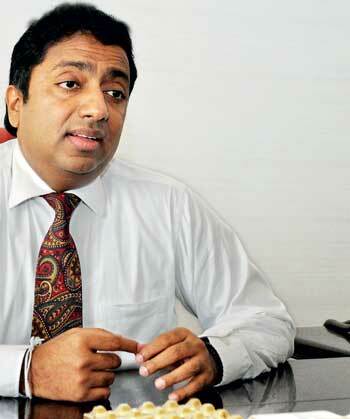 Education Minister Akila Viraj Kariyawasam, in an interview with the Dailymirror , said that the United National Party (UNP) doesn’t stand for corruption. He said that the party will penalize those responsible for the Central Bank bond transaction. Following are excerpts of the interview done with minister Kariyawasam. QHow is your party’s election campaign progressing? We started our campaign from Kandy. We intend to have a series of meetings and rallies which will be attended by Party Leader Prime Minister Ranil Wickremesinghe and other Cabinet Ministers. We hope we can register a handsome victory this time. The present Government will last for another two and a half years. People want to get their development work done through the party in power. Only the party in power can pump in money to the local authorities for the development of access roads, bridges, culverts etc. Normally, the Local Government Elections are a clean sweep for the ruling party. It has happened right throughout history. People know it. On the other hand, we have planned to obtain foreign expertise for matters such as garbage management. Though the UNP is party to the Government, it did not have control over the local authorities and the Provincial Councils. As such, development took place at snail’s pace. Once we secure power at these two tiers of governance, we can accelerate our development drive. QMembers are elected for a period of four years at this election. A National Election is due next year. Then, how can you say the Local Government bodies will remain totally under the present Government? We will have to go for a National Election after two years. There is no doubt that we will win that election. We can do a whole lot of work during these two years. We are confident that we can win most of the local bodies. At the last parliamentary elections, the UNP got the single largest majority. That was when the United People’s Freedom Alliance (UPFA) contested undivided. Today, it is split. So, this election is clearly advantageous to us. It is simple arithmetic. QSome UNP MPs articulate every time that a UNP Government will be formed after this election breaking ranks with Sri Lanka Freedom Party (SLFP). You are a key Minister. What is your view? We can consider after the elections whether to proceed with the national Unity Government or not. We only want to deliver a lot to the country in terms of development. We want people to benefit. We can choose the best path for it after this election. If it is possible, we will try to forge ahead with the national unity government. We have to do it after contacting President Maithripala Sirisena. QHow feasible is it for the two parties to stay together in the context of President Sirisena being so harsh on the UNP? There is no serious issue. It’s acceptable in the event of a National Government. As long as the two leaders maintain a mutual understanding, it is not a serious issue. This is a novel experience. The two parties, that were hostile to each other right throughout, have got together for governance for the first time. We have to iron out issues and move ahead. QThe UNP MPs insist on their own Government. They say party men could not be looked after well because of the Unity Government. Do you have the same view? It is reasonable for some UNP MPs to feel so. There are some members who were opposed to us, but joined the Government later. When such members make harsh criticism against us, our MPs feel let down under their own Government. We try to achieve what is best for the country. When considering the mannerism of their criticism, even people of this country feel the same. There is a clear contradiction between what they say now and what they did at that time. We only took the lead in electing President Sirisena to office. We want to sort out issues if there are any. QAre you trying to say that the Unity Government should remain till 2020? Actually, we’d like to move ahead with the Unity Government with there being a mutual understanding between the President and the Prime Minister. However, we will have a meeting as a party after the elections and take a decision. QThere are serious allegations regarding the frauds in the controversial bond transaction. How has it affected your party? There is no problem. The Commission has not made any allegation against the Prime Minister. He is not been made an accused in the case. As a governing party, we took appropriate action after the bond scam was reported. We appointed a committee. The matter was referred to the COPE. The Presidential Commission was appointed. That was done after deliberation between the President and the Prime Minister. For the first time, the Prime Minister went before the Commission and testified. The Commission found that Perpetual Treasuries Ltd, as a primary dealer involved in bond trading, made undue profit of Rs.11 billion. As the Subject Minister, the Prime Minister had taken steps to freeze the company’s financial assets. There is no loss to the state because this money can be recovered from them. A cabal of fraudsters is now trying to cling to the bond scam as a means to resurrect themselves from their political mess. We will not leave room for them to raise their heads again. In fact, we can recover the monies lost due to the bond scam from the frozen assets of PTL. The very same Commission stated that major frauds causing an enormous loss to the Employees Provident Fund (EPF) had taken place during the former rule. We can recover the Rs.11 billion loss from the assets of PTL. We have to investigate the fraud of Rs.4000 billion. People know everything. We are confident that we can win most of the local bodies. At the last parliamentary elections, the UNP got the single largest majority. QActually, there are allegations against the former Government. Despite being in power for the past three years, the Government has been unable to establish itself with the much needed evidence to prove these allegations. But, the allegations against the present Government are now proven. What is your response? As a responsible Government, we probed the allegation made against us. Normally, in the past, the successive Governments swept under carpet the allegations made against them. We are an exception in that sense. We probed the allegations against us. However, we will speed up investigations into the cases against fraudsters of the past Government. Some cases have got stuck at the Attorney General’s Department. We have to speed up action. We can hear court cases on an ad hoc basis. It takes time. Once we work out a mechanism to expedite the hearing of these cases, we can see what will happen to those who cry hoarse today. QYou have a different mandate. You were elected to office with the promise to root out corruption and fraud. What did you feel when you heard about the bond scam under the very same Government that vowed to eliminate corruption? We still hold that position. We cannot take total responsibility for what officials were involved in. For example, I fully trust that the Commissioner General of Examinations discharges his duties well. If there is a complaint, I seek a report from him. It is fully trusted by me. I cannot go and examine the allegations on my own. We are opposed to corruption and fraud. We assigned the COPE Chairmanship to JVP MP Sunil Handunnetti. The Prime Minister’s political career, spanning over 40 years, is not tainted with corruption allegations. There is no need for him to indulge in corruption in his 41st year in politics. These are baseless allegations made by some individuals whose names have been tainted with corruption and frauds during the previous rule. QHowever, the UNP MPs tried to cover up the bond scam right from the beginning. One MP even published a book to say that no scam has taken place. What is your view? If anyone has done anything wrong, we will not protect him. The party is going to appoint a committee to probe this matter. If anyone is found guilty, the party will take action. We will not forgive anyone. Had we wanted, we could have formed our own Government. We did not opt for it, though.